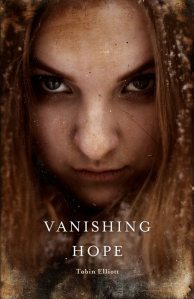 …check out Vanishing Hope, by Tobin Elliot. 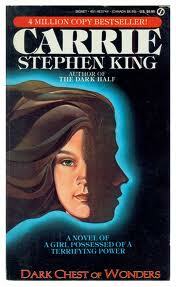 We know that for many people Stephen King was and is the gateway into horror fiction. For the folks out there who have read their way through his formidable body of work and are wondering where to go next, we’ll be running ‘Fit For a King…Fan’ weekly. Each week we’ll introduce a King novel you may have loved and suggest a book or two to use as a a springboard into (the rest of ) the big scary world of horror fiction. Enjoy! This entry was posted in Authors, Fit for a King...fan, Novels by Meli Yoroshiku. Bookmark the permalink. As usual, you guys are spot-on. While I never thought about any comparisons while I was writing the story, later on I was asked to describe it. I said it was the love-child of Stephen King’s CARRIE and Jerome Bixby’s IT’S A GOOD LIFE. H.P. Lovecraft would be a god-parent. I read Vanishing Hope. One seriously mixed up kid in a weird world of Elliott’s imagination.